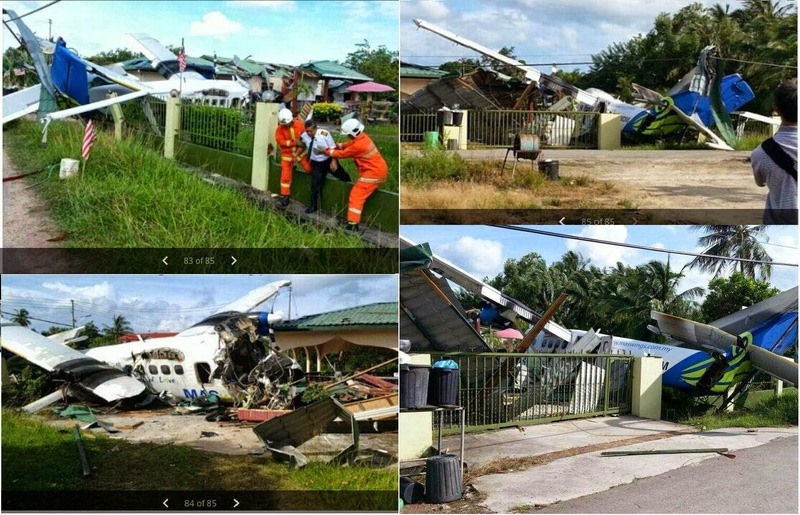 KUDAT: A co-pilot and a passenger were killed in the MASwings Twin Otter plane crash at Kudat airport today, about 190km northeast of Kota Kinabalu. Co-pilot Marc Joel Bansh, 23, succumbed to injuries after he was rushed to the Queen Elizabeth Hospital in Kota Kinabalu. Passenger Tan Ah Chai, 69, meanwhile died in the Kudat hospital two hours after the crash. Four others, including the pilot, are being treated at the Queen Elizabeth Hospital while 10 others had been admitted at the Kudat hospital. In a statement here tonight, Malaysia Airlines (MAS) said the crash occurred in the vicinity of the airport at 2.50pm. It said the total number of passengers and crew onboard totalled 16, adding that this was the first incident involving MASwings at Kudat. Eleven firemen from the Sabah Fire and Rescue Department were at the scene of the crash. 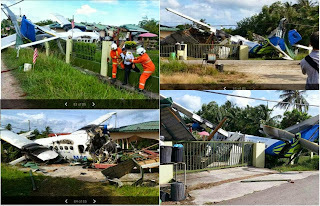 Earlier, the department’s public relations officer Mohd Affendy Ramin said in Kota Kinabalu that the plane had gone down in Kampung Sinsan. Deputy Defence Minister and Kudat MP Abdul Rahim Bakri said he learnt there was a strong wind at the time the plane was about to land. He said the Kudat parliamentary office would help the victims of the crash. Meanwhile, MAS said it would, together with MASwings, continue to monitor the situation at the crash site and give updates. It said families of passengers who were onboard could call 03-78841234 for further enquiries.